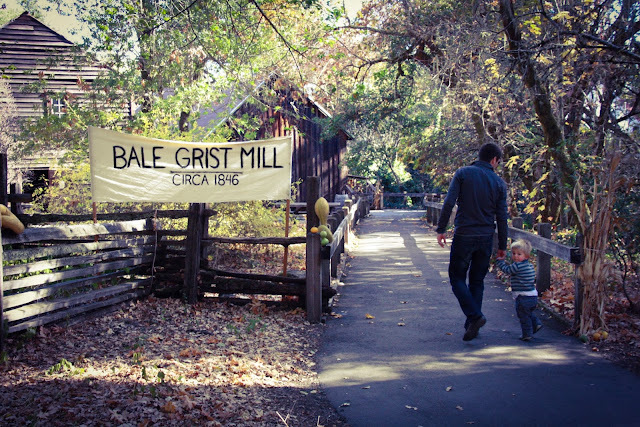 Though we've lived in the Napa Valley for over five years, it wasn't until last weekend that we finally visited the Bale Grist Mill. What a hidden gem! Located between St. Helena and Calistoga, the Bale Grist Mill was originally built in 1846 by Dr. Edward T. Bale. When, only four years later, he passed away at the early age of 38, his wife took over mill operations and made improvements that brought it to its current state. 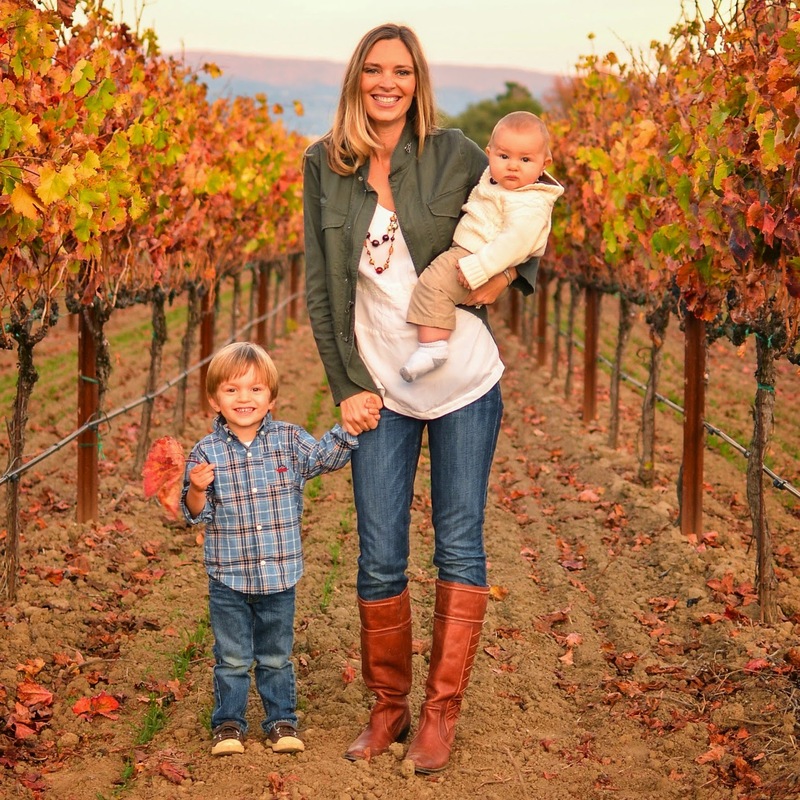 She oversaw the addition of a 36-foot wheel (an upgrade from the previous 20-footer) and a new conveyor system that enhanced the Mill's productivity. The mechanics of the Mill, still in operation today, are a sight to behold. Our visit to the Mill started with a comprehensive tour and demonstration of grinding corn into cornmeal. It was simply incredible to see the system of gears, pulleys, sifters, grindstones, etc. developed in the 1850s to produce what we now take for granted - flour. 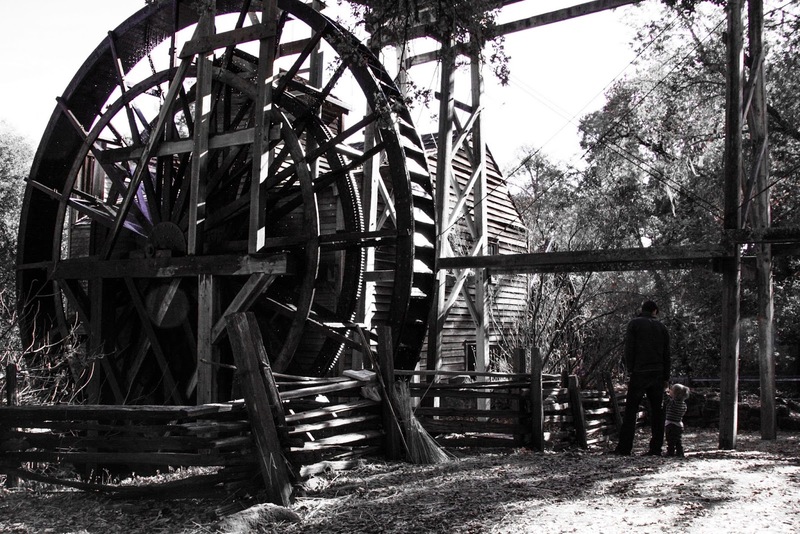 The Mill is open on weekends from 10am to 4pm (call Bothe State Park at (707) 942-4575 to confirm, as due to California budget cuts it is currently run by volunteers). Entrance to the Mill and the surrounding grounds, which includes a tour and demonstration, is $5 for each adult, $2 for children age six to eighteen, and free for children under five. We made a day of it by packing a lunch and enjoying shaded picnic tables. In the fall, the Bale Grist Mill hosts "Old Mill Days," a family-friendly pioneer celebration with music and history re-enactments. Kids can make their own corn husk dolls, learn to write in calligraphy, press apple juice, and - my favorite - wash clothes by hand. We will definitely be back next October to join in the fun! The best souvenir from the Mill? Freshly ground grain available for $5 a bag (each approximately 1 pound). Visitors can choose from whole wheat flour, spelt, buckwheat, rye, cornmeal, or polenta. We enjoyed the Mill's bounty with a butternut squash soup sourced from our garden, making the meal perhaps the most farm-to-table dinner that has graced our table. 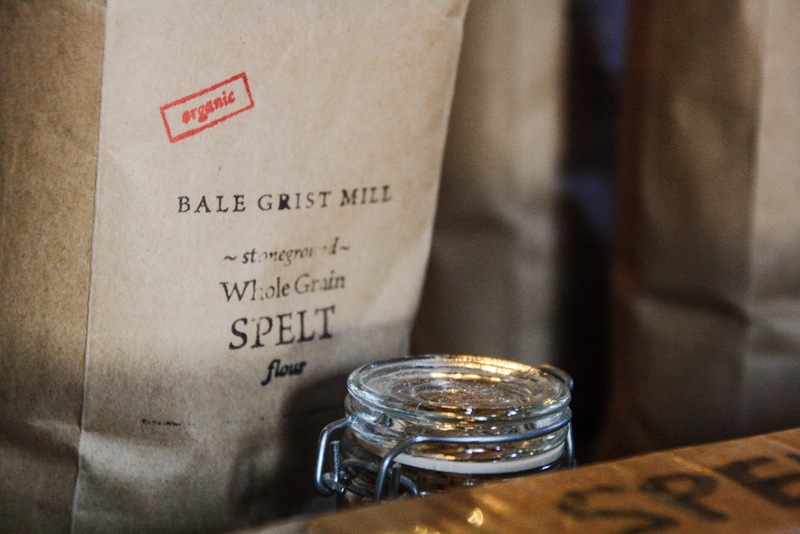 nice article, thanks for stopping up and visiting the Grist Mill. I concur that it is surprisingly better than expected. Besides the Mill, there is a great little park with a nice woods and hiking trails.